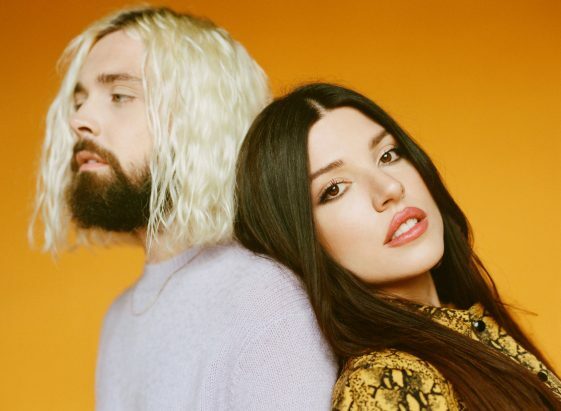 (Los Angeles, CA)— Alt-pop duo Flora Cash signs to BEE and El/RCA Records who are seeing major success with their current single “You’re Somebody Else.” The track has amassed over 8 million streams on Spotify and the music video has gone viral having been viewed over 6 million times. The song is also #28 and climbing at Alternative Radio and is one of the most Shazamed Alternative records of the year. The track was also used in a Movistar commercial in Mexico, which has been viewed over 25 million times and has been picked up through Central and South America. The husband-and-wife duo emerged when Minneapolis-native Cole Randall uploaded his music to Soundcloud and caught the attention of Sweden-based Shpresa Lleshaj who stumbled upon his account and started leaving comments under the songs. Facebook messages gave way to an introductory phone conversation, which snowballed into marathon Skype sessions, which eventually led to their marriage. The mystique of the music offset the exuberance of the union between them. The duo stitched together a singular style from threads of personal anxiety, struggle, and ultimately triumph. In 2017, their full-length debut, Nothing Lasts Forever (And It’s Fine), attracted widespread tastemaker praise, including a coveted 9-out-of-10 score from Earmilk as well as acclaim from Noisey, Paste, Wonderland Magazine, Elmore Magazine and The Line of Best Fit. In addition, Flora Cash will be hitting the road this fall on their North American tour. The tour kicks off on August 10th in San Francisco where they will be opening up for Amen Dunes followed by a show in Los Angeles on August 13th opening for Aquilo, then radio shows in Folsom, San Diego, and Salt Lake City. The duo will spend the remaining dates of their tour supporting SYML hitting major cities including New York, Philadelphia, and Washington, DC. Tickets for the tour are on sale and can be purchased here. See full list of tour dates below. Flora Cash’s EP “Press” Out Today!